Janice Geney Ginther age 70, of Elsie, MI, passed away Friday, January 25, 2019, at her home. Funeral Services will be held at Smith Family Funeral Homes Elsie, MI, on Wednesday, January 30, 2019 at 11:00 A.M., with Mr. Tom Bradley officiating. Burial will take place at Riverside Cemetery, Elsie, MI. Visitation will be held on Tuesday, January 29, 2019 from 2-8 P.M. with the family present from 2-4 & 6-8 P.M. at the funeral home. Janice was born in St. Johns, MI on September 7, 1948, the daughter of Cloyd Santford and Martha Emma (Lecureaux) Cordray. She grew up in Bannister, went to Kelsey Rural Schools as a child, then to Ashley Community Schools where she graduated with the class of 1966. She married Carl Joe Brzak in Ashley on July 25, 1968. He passed away on February 26, 1969. She then married Robert Ginther in St. Johns on August 17, 1988. Robert passed away on February 15, 1997. 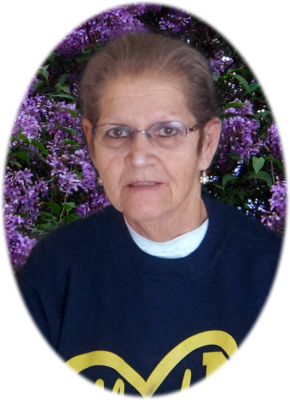 Janice was a rural mail carrier out of Bannister where she retired from in 2013. She enjoyed her job having known her customers all her life. She loved to bake and was always making something every day, giving it to family and friends. She volunteered her time to the Elsie Food Bank which she loved doing. She was a member of the Owosso Ladies Auxiliary Post 9455. She liked going to tractor pulls with her son. She also took food and sold it to the pullers and spectators. She also loved collecting stamps, like playing Scrabble with her sister "Weeze" on Sundays or whenever. Janice also enjoyed playing Yahtzee and listening to old country music songs. Her pride and joy was her son, David “Butch” Brzak whom she loved very much. Her only granddaughter Jennah was very special to her also. She is survived by her son David and Cyndi Brzak of Elsie, MI; granddaughter Jennah of Morrice, MI; brothers: Pat and Rita Cordray of Ashley, MI; George Cordray of Briggsville, WI; sisters: Martha Ann and Al Stewart of Saginaw, MI; and Mary and Jim Simpson of Elsie, MI. She is also survived by many nieces, nephews and cousins. Also special friends: Chuck, Sandy and Charles Washburn of Bannister, and Dolphis "Das" Rabidoux III of Elsie, and her special animal companions: Allis Chalmers, Buddy, Luna Blue, Cry Baby, Muffy, Boots, Snowball, Mikey and Stormy. She was preceded in death by her husbands, parents, grandparents, and brothers Richard and David. Memorials may be made to her son David Brzak for her granddaughter’s college education. Online condolences can be sent to www.smithfamilyfuneralhomes.com. The family is being served by Smith Family Funeral Homes, Elsie, MI. Memorials may be made to her son Dave Brzak for her granddaughter's college education.